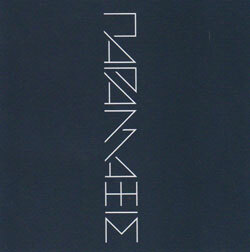 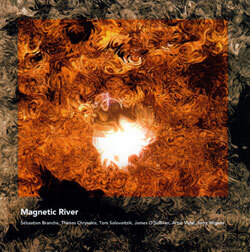 A remarkable album of electronic composition from sound experimenter and improviser Thanos Chrysakis, ten stunning compositions that explore a diverse set of tones across a broad spectrum of rich deep timbre and beautiful high frequency ringing, bell-tones at times taking the focus, at others providing a rotating basis for ethereal experiments; sophisticated and engaging! 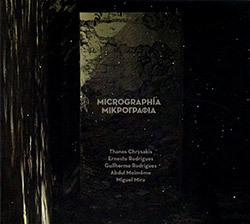 Recording in Portugal, the quintet of Aural Terrains label leader Thanos Chrysakis on piano, Creative Sources label leader Ernesto Rodrigue on viola, son Guilherme Rodrigues on cello, Miguel Mira on double bass and Abdul Moimeme on electric guitar, three parts of microscopic collective electroacoustic improvisation of highly focused, detailed interplay. 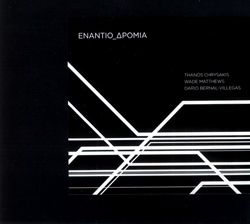 Three label leaders come together for an album of free electroacoustic improvisation--Thanos Chrysakis (Aural Terrains); Kurt Liedwart (Mikroton); Ernesto Rodrigues (Creative Sources), with Nuno Torres on sax--for an extended dialog built of exotic and microscopic sound, string aberrations, and reed abnormalities; exceptional. 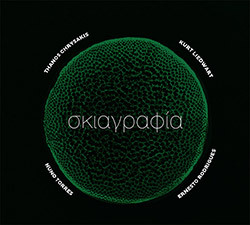 Using principles similar to Pauline Oliveros' Deep Listening, the quartet of Thanos Chrysakis, Christian Kobi, Christian Skjodt, and Zsolt Sores use acoustic and electronic instruments in carefully developed improvisations based around dynamics, densities & textures. 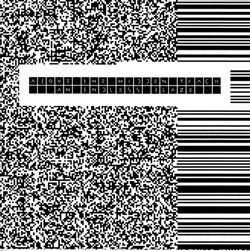 An extended electroacoustic piece recorded in 2011 and named as an apt description of the bubbling, dense and intense flow of sound Chrysakis generates using electronic devices, acoustic sounds and field recordings, an absorbing work of audio flux and percolation. 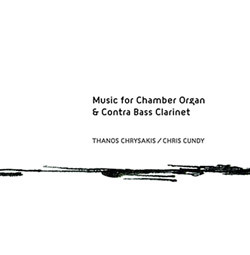 Electroacoustic improviser Thanos Chrysakis performing on the chamber organ at the University of Gloucestershire, UK in a collaboration with Chris Cundy on contra bass clarinet, for a subtle, mysterious and uncompromising four-part improvisation. 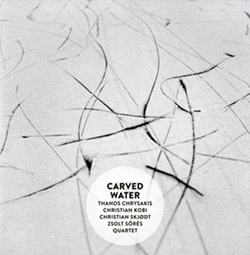 A quintet of string improvisers in discerning dialog using viola, cello, double bass, electric guitar, piano & harp, from regular collaborators Ernesto & Guilherme Rodrigues, Miguel Mira, and Abdul Moimeme, plus Aural Terrains label leader Thanos Chrysakis. 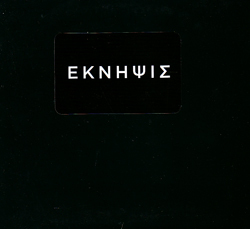 Composer/performer Thanos Chrysakis in a studio electronic work, using a diversity of methods and approaches that imply his usual free improvisational approaches by creating a rich and elaborate sound world of distinctive, unique and often warped electronic sound. 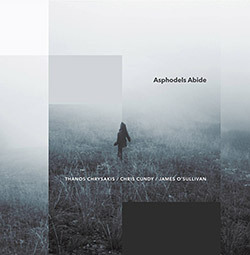 Sophisticated and interactive electroacoustic improvisation from the trio of Chris Cundy on bass clarinet, James O'Sullivan on guitar, and Aural Terrains label leader Thanos Chrysakis on laptop, synth and radio, performing the six part "Asphodels Abide". 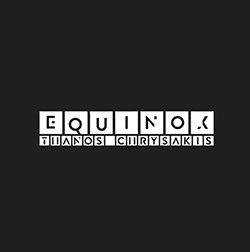 The trio of Thanos Chrysakis on synth, radio, gongs & laptop; Wade Matthews on synth & field recordings; and Javier Pedreira on guitar, in studio recordings of edgy electroacoustic improvisation using a wide sound palette of indescribable sources. 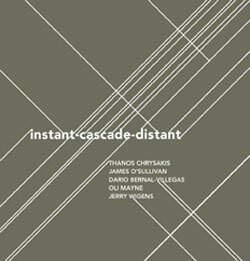 Intricate and beautifully paced electroacoustic improv from the quartet of Thanos Chrysakis (laptop, synth & radio), Ken Slaven (berimbu, autoharp, violin), James O'Sullivan (guitar) and Jerry Wigens (clarinet & mandolin). 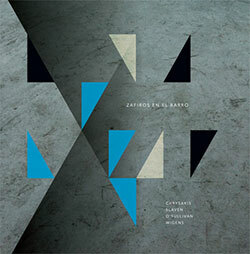 Aural Terrains label leader and electronic composer Thanos Chrysakis in a work in three movements based on a blending of electronics and acoustic instruments. 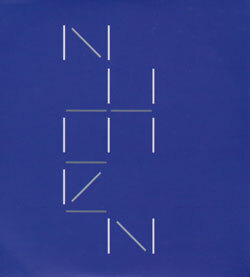 Electroacoustic improvisation with unusual techniques from the sextet of saxophonist Sebastian Branche, laptop electronicist Thanos Chrysakis, saxophonist Tom Soloeitzik, guitarist James O'Sullivan, saxophonist Artut Vidal and clarinetist Jery Wigens. 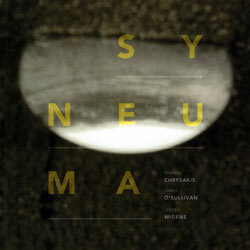 The Syneuma Trio is the free improvising trio of Thanos Chrysakis playing inside and out of the piano + chimes and vibes, James O'Sullivan on guitar, and Jerry Wigens (Astrakan) on clarinet. 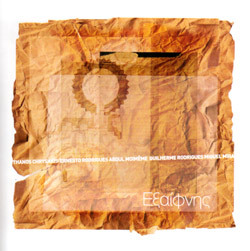 The Eventless Plot trio hails from Thessaloniki, Greece, borrowing elements from different genres and aesthetics to build a hybrid of free improv, noise, new electronica, electroacoustic composition and jazz. 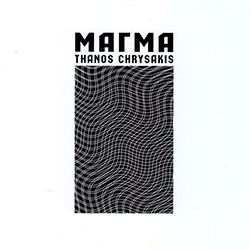 The duo of Thanos Chrysakis on laptop and electronics, Wade Matthes on digital synthesis and field recordings, in an album of improvisations where synthetics and real-word sounds combine and collide in intriguing ways. 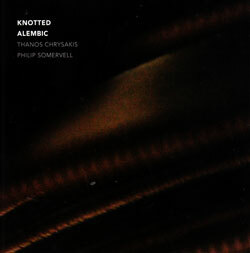 The 7 part "Knotted Alembic" is an improvisation between electroacoustic artist and label leader Thanos Chrysakis and Brazilian based Chilean pianist Philip Somervell performing inside and out of the piano. 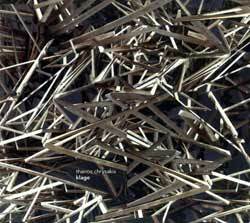 Detailed electro-acoustic improvisation from the trio of Thanos Chrysakis on MaxMSP & electronics, Wade Matthew on synth and field recordings, and Dario Bernal-Villegas on percussion. 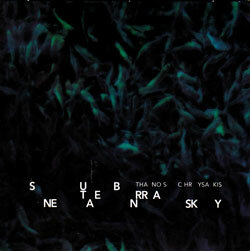 Aural Terrains label leader and electronic composer Thanos Chrysakis in a work in five movements based on field recordings, synthesized, and acoustic instrumental sounds. 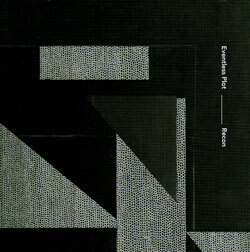 Combining sound-synthesis with field recordings and percussion these three improvisers create electroacoustic environments from intricate tranquility to howling furies. 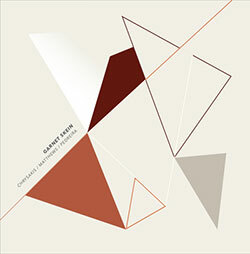 This quintet use a wide range of sound sources inc. guitar, electronics, prepared piano and clarinet to create spectral and gestural sonic and harmonic fields.